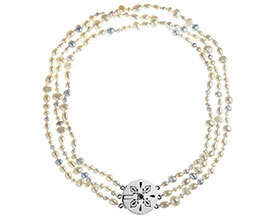 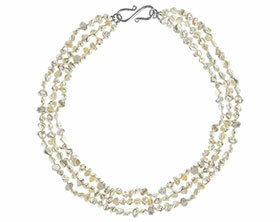 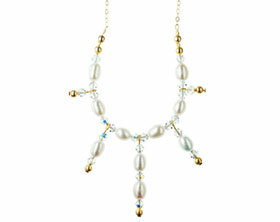 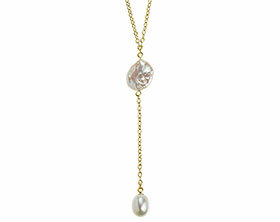 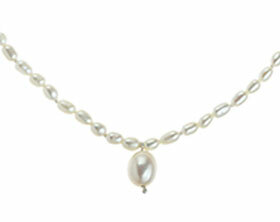 A simple pearl necklace using extra large baroque coin pearls. 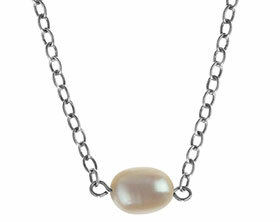 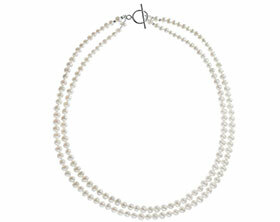 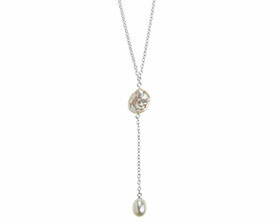 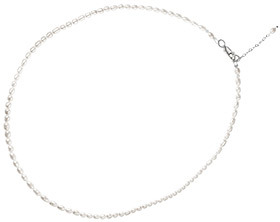 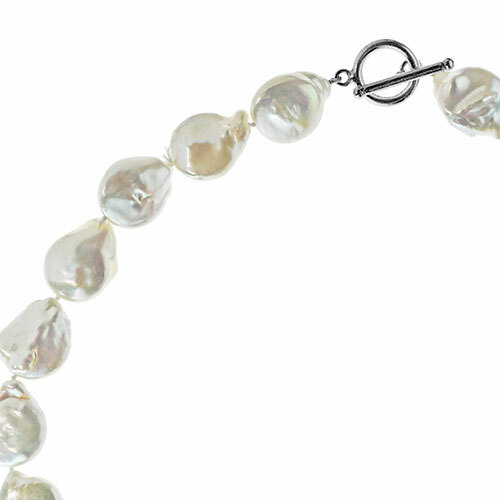 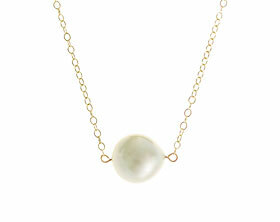 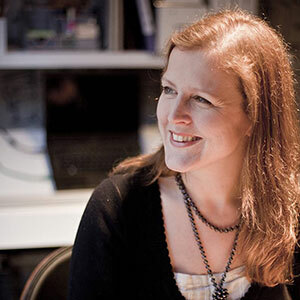 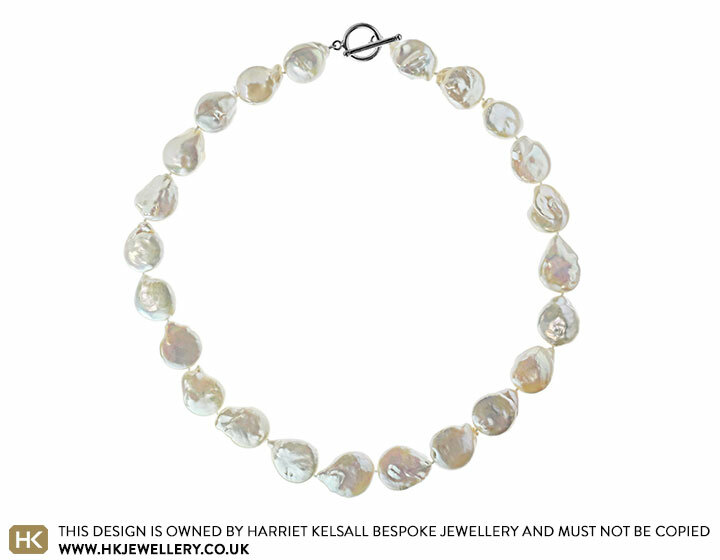 The pearls measure approximately 18mm and use a sterling silver clasp. 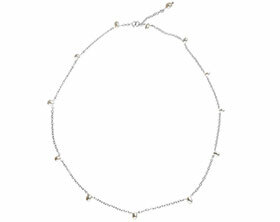 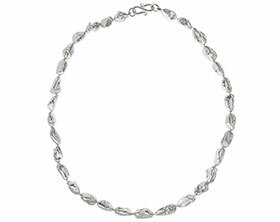 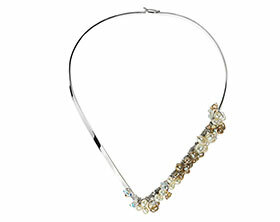 The necklace is approximately 19 inches in length.